The PKI 9850 should be used by police, special forces, security forces, border guards etc. in order to control mass happenings as well as extreme situations, disasters, rescue operations and border protection. 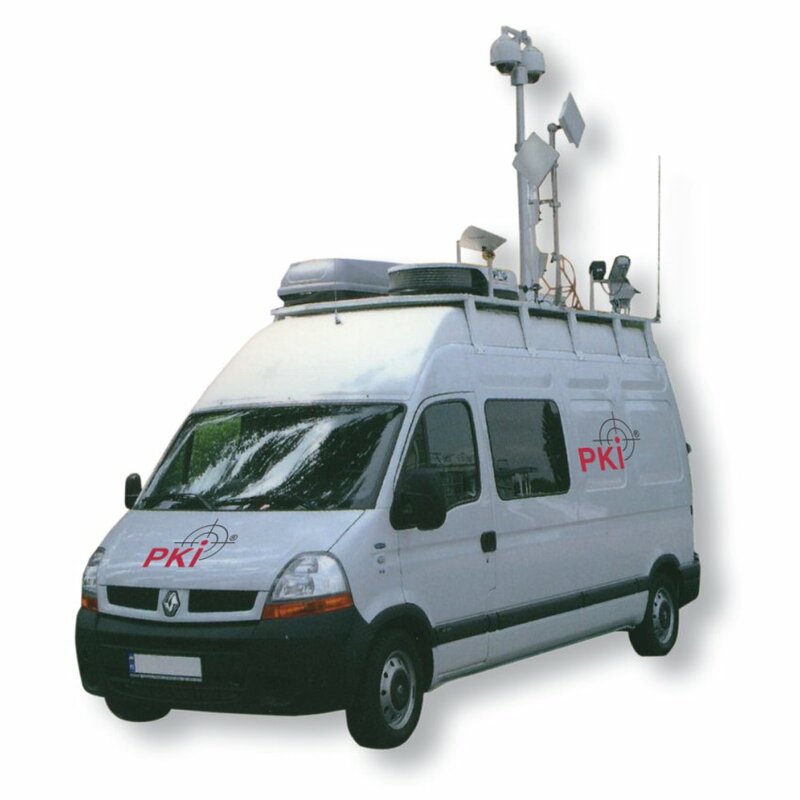 The PKI 9850 has been developed in response to the market’s needs and we hereby created and present a fully equipped observation vehicle for any observation task. This mobile monitoring centre is based on the most technically advanced CCTV equipment and will be supplied with discreet monitoring, editing and recording devices plus high frequency signal transmission and GPR’s. The car can be equipped with IR-cameras and directional microphones, if desired by the customer. The configuration of the built-in technologies and equipment depends on the client’s needs. It may vary from simply one camera system with monitor and recording device to the most advanced systems comprising remote control, digital cameras, pneumatically telescopic mast with highdefinition, long-range cameras, GSM and UMTS picture transmission, satellite communication and integration with existing monitoring and command centres. The crew of the PKI 9850 can handle each device by independent power supply (either external 230 V power supply, built-in power generator or powercells / accus withconverters). Refrigerator and coffeemaker are supplied as standard. As each PKI 9850 varies according to customer’s needs we would like you to contact us with your full list of requirements and we shall work out a personally tailored, complete offer for you.